Nokia 3 will be available from June 16, while Nokia 5 pre-booking starts from July 7. The Nokia 6 will be exclusive to Amazon and will be available from July 16. 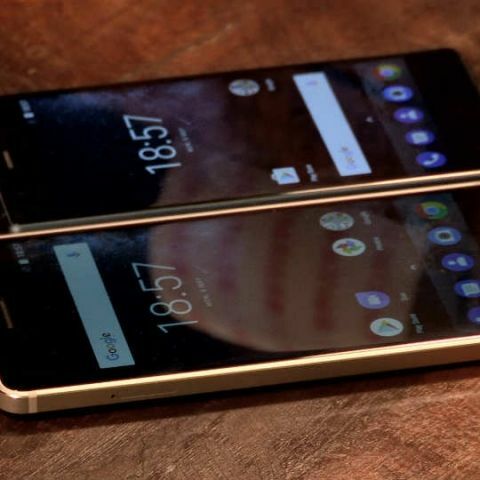 Nokia has finally launched its three Android-powered smartphones in India. The Nokia 3 cheapest of the three and is priced at Rs. 9,499. The Nokia 5 is priced at Rs. 12,899, while Nokia 6 is the most expensive of the three at Rs. 14,999. The Nokia 3 will be available from June 16. Nokia 5 pre-booking starts from July 7. Nokia 6 will be exclusive to Amazon and available from July 16, with registrations starting from July 14. Further, Prime customers will get Rs. 1,000 cashback and signing up to the Kindle app will get them discounts on ebooks. The Nokia 3 and Nokia 5 will only be available offline. The company notes that it has 400 exclusive distributors covering 80,000 stores. Further, Nokia Mobile Care after sales service centers are across 300 locations in India. The company will also offer online after sales services. All Nokia devices sold in India will be made in India. The company will do so in a phased manner, starting with the Nokia 3, followed by the Nokia 5 and Nokia 6. The Nokia 3 sports a 5-inch HD display and is powered by a quad-core MediaTek MT6737 with 2GB of RAM. The device offers 16GB of storage and is equipped with a 2630mAh. The phone comes with 8MP cameras in the front and back. The Nokia 5 features a 5.2-inch HD display and is powered by Qualcomm’s Snapdragon 430 platform with 2GB of RAM. The device is equipped with a 3000mAh battery and offers 16GB of onboard storage. At the back is a 13MP camera, while at the front is an 8MP camera. The Nokia 6 has a 5.5-inch Full HD display and is powered by Qualcomm’s Snapdragon 430 platform with 3GB of RAM. At the back is a 16MP camera, while at the front is an 8MP camera. The device offers 32GB of storage and is equipped with a 3000mAh battery. The phone also comes with Dolby Atmos support. All three devices come with stock Android Nougat, and the company has already promised to upgrade the phones to Android O when it is launched.